It's smart to wonder about the safety of dry fruits now that you're expecting a baby, because what you eat and what you don't eat can affect your unborn child. Dry fruits, however, are not a food you need to be concerned about. In fact, you should include dry fruits in your pregnancy diet because they're rich in certain vitamins and minerals that you need for good health and that your unborn baby needs to meet growth milestones. If you're like many pregnant women, you've experienced constipation at some point during your pregnancy. Constipation is likely because of the change in hormones that occurs when you're pregnant and because of the additional iron you're getting in your prenatal vitamin. A low-fiber diet is another reason why you could be experiencing constipation, and adding dry fruits to your diet is one way to get the 25 to 30 grams of fiber recommended by the American Pregnancy Association. A 1/4 cup serving of dried apricots contains 1.63 grams of fiber, and a 1/4 cup of dried apples has 1.3 grams. Prunes have almost 2 grams per 1/4 cup, and raisins have 1.5 grams per 1/4 cup. You need 27 milligrams of iron each day during pregnancy to support normal blood development and reduce your risk of preterm delivery. Dry fruits supply small amounts of iron that can help you achieve this goal. A 1/4-cup serving of dried apricots, for example, contains about 0.6 grams of iron, which is 2 percent of what you need each day. The same amount of raisins supplies 0.78 milligrams. Other types of dried fruit, such as apples and prunes, deliver small amounts of iron as well. 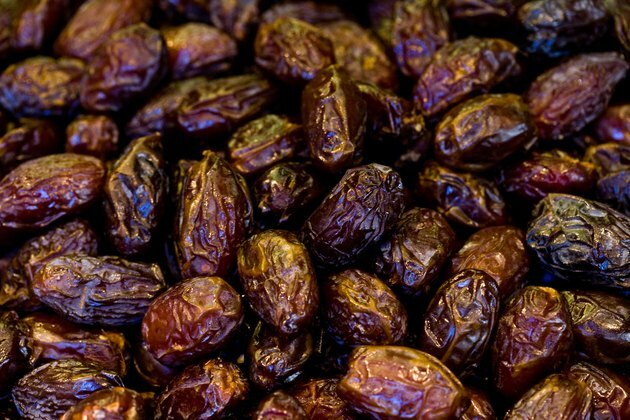 Dates and dried figs are additional sources of iron, according to the BabyCenter website. Some dry fruit, such as dates and bananas, supply magnesium, a mineral that helps your baby's bones and nerves form and function normally. Most dry fruit, including apricots, apples and dates, also supplies potassium, another mineral that aids in muscle control and can help prevent the development of high blood pressure. Some dry fruit, such as apricots, is also a good source of vitamin A, which helps your baby's bones and teeth form properly. Dry fruit is higher in calories than fresh fruit, which means that you should limit your intake during pregnancy. This is because too many calories will cause you to gain more weight than necessary. 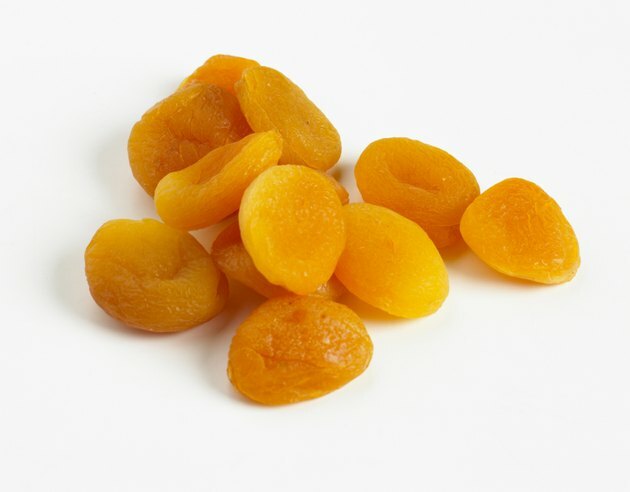 A 1/4 cup of dried apricots contains 53 calories, and the same amount of prunes has 63 calories. 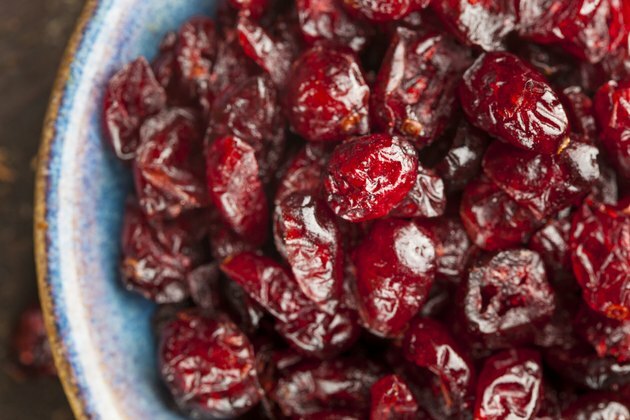 A 1/4 cup of raisins contains 124 calories. Limiting your intake of sugar is also important during pregnancy because added sugar increases the unnecessary calories in your diet, which can lead to unhealthy weight gain, according to the American Pregnancy Association. Many dry fruits contain added sugar, but you can overcome this drawback by opting for varieties without added sugar. 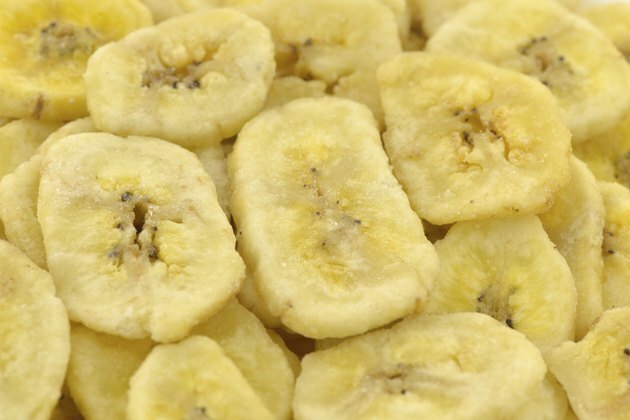 BabyCenter: What Are the Benefits of Dried Fruits and Nuts During Pregnancy?